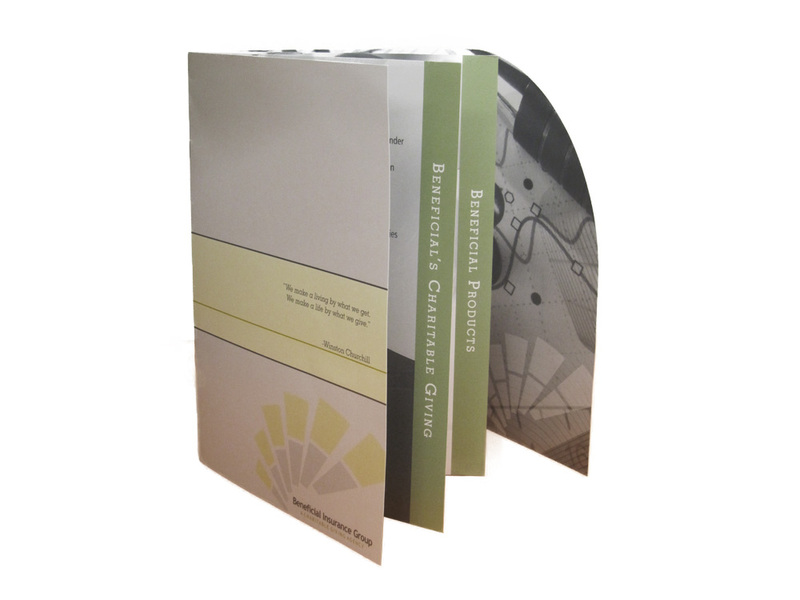 Pocket folders are a great way to present information to your customers. And the more interesting they are, the more attention they get. Because they are often used to present information in a sales or knowledge-based situation, they have to look very professional. A good looking folder can make or break a first impression. We have a vast array of paper stocks, colors, sizes, finishes and interiors. There are gloss or matte finishes; elegant linen stocks; multi-color foil stamping; single or double pockets; full, saturated color or simple logos on plain white – the choices are endless. Presentation folders come in all sizes. They can be small (to hold tickets or business cards, for example) or large with several pages bound inside the folder. You can put step sheets inside them, slip business cards into the slits, place DVDs into the pockets, stuff them with sell sheets or put your high-end full color process booklets in them. We’ve done all sorts of presentation folders – ones that are foil stamped, die cut, multiple pages, have inserts, expand, etc. 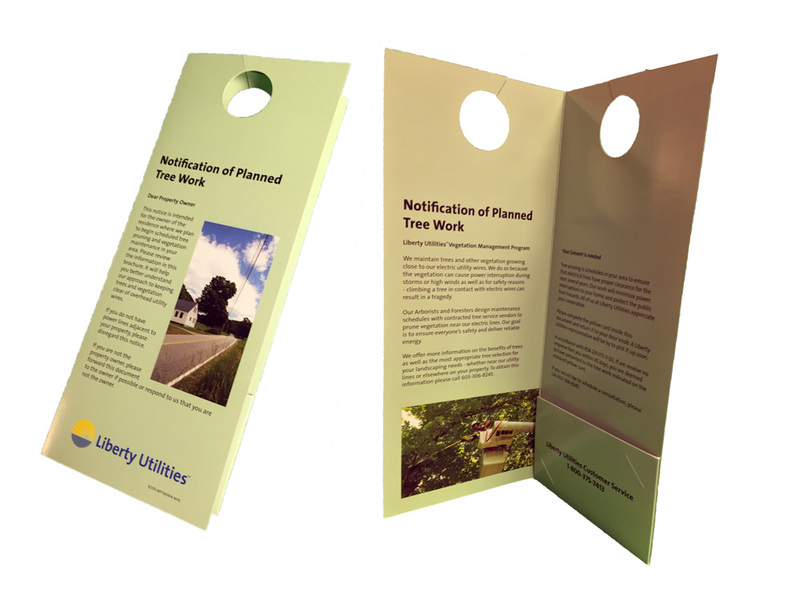 We can make unusual shaped pockets, print on the inside or create a custom shaped folder to match your product or service. 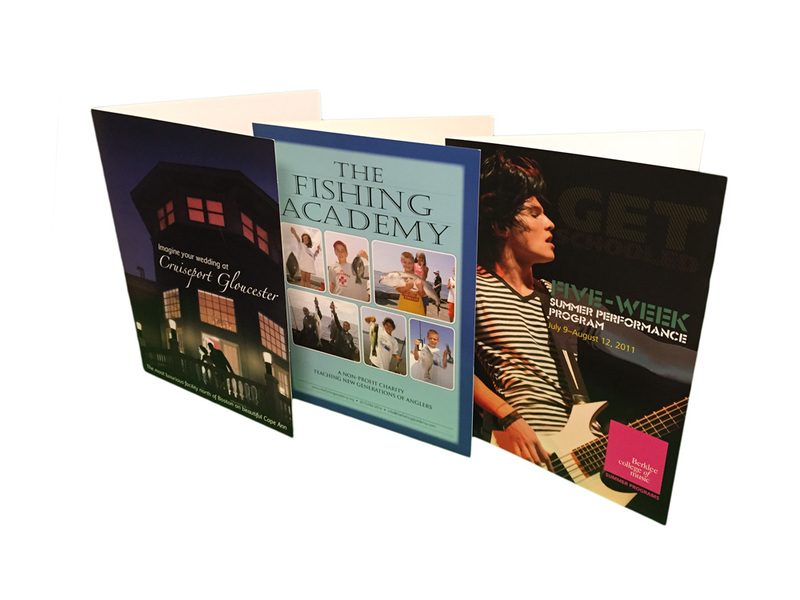 Whatever kind of presentation folder you’re looking for call or email us for a quote!